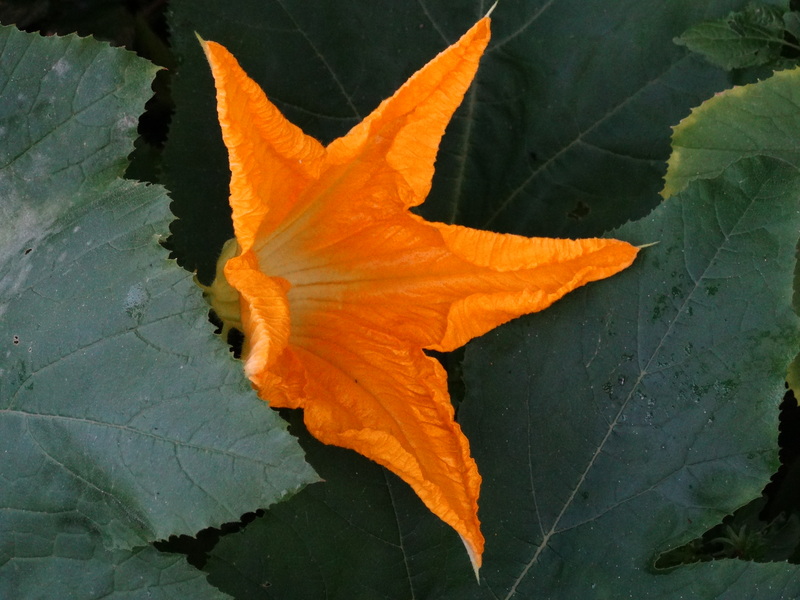 Male pumpkin flowers (seriously!) in a garden on Melville Avenue. 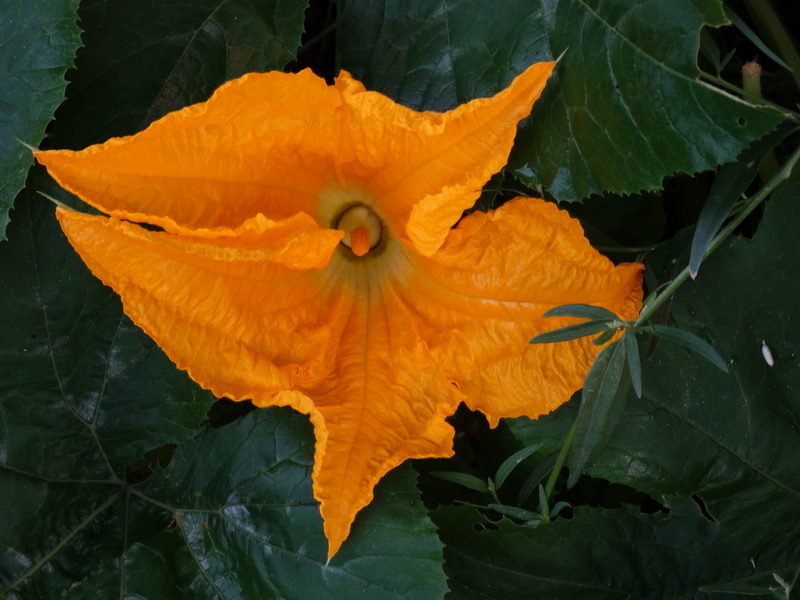 (The female flowers have a tiny “pumpkin shape” below their stems). The male flowers bloom, only once, early in the morning and then close in about four hours. This entry was posted in Uncategorized and tagged Quebec, Westmount. Bookmark the permalink.